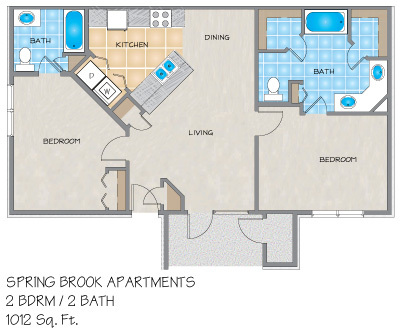 Please send me more information about Spring Brook Apartments. 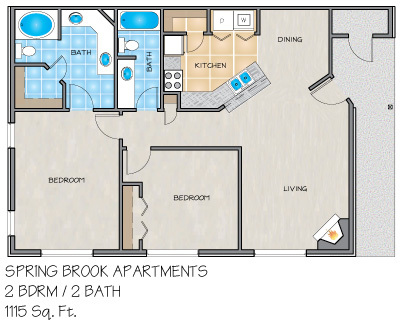 At Spring Brook, a Baton Rouge, LA apartment community, we offer you five spacious floor plans with 9 ft. ceilings, patios or balconies with additional storage, chef style kitchens, frost-free refrigerators with ice makers, ceiling fans, plush carpet, double vanities and full size washer and dryer. Wood-burning fireplaces and large garden tubs are available in select apartments in Baton Rouge, LA. After you enjoy a stimulating workout in our 24-hour fitness center, you can go for a dip in the pool. 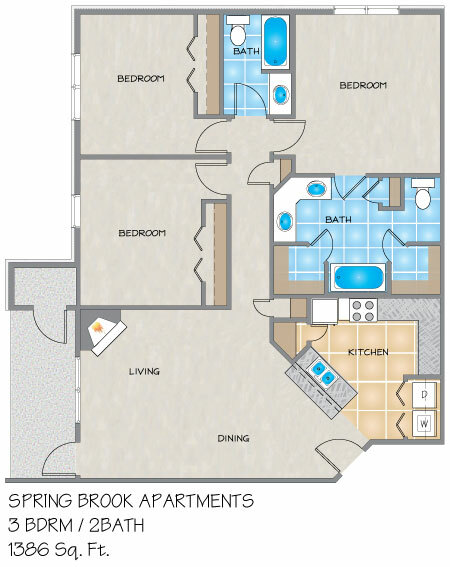 If you are looking for an apartment for rent in Baton Rouge, experience the difference with Spring Brook. This gated apartment community located between Jones Creek Road and O'Neal Lane is minutes from Siegan Lane and Highland Road with easy access to I-12 and walking distance to fine dining and local grocery. 1st Lake Properties offers professional on-site management and maintenance. We also offer fully furnished, Extended Stay accommodations. Call and let our leasing consultants show you an apartment today. 1 Pet (less than 40 pounds): $300 deposit, $100 non-refundable, plus $10/month pet rent. 1 Pet (41-65 pounds): $500 deposit, $100 non-refundable, plus $15/month pet rent. 2 Pets (Maximum total weight, of both pets combined, 65 pounds): $800 deposit, $100 non-refundable, plus $25/month pet rent. Springbrook is nice and quiet. My wife and I enjoy living here. Shelly, Danielle, Iris and Francisco are doing a wonderful job! They make me feel like a valued resident. They take care of all of my maintenance needs. I really enjoy my apartment at Springbrook and I hope the staff is here a long time. I love living at Springbrook. The only downfall is it takes forever to get something fixed. The maintenance man is great, but they may need more help with as many apartments as they have. My neighbors are great! Everyone stays to themselves. Sometimes people are outside, but I don't see the big deal? Everyone always speaks and is very respectful. I don't understand why all the bad reviews?? Been here about 2 weeks have had the same complaints for 2 weeks. And after all this time they just put it in a work order to have the things fixed. For the amount that rent is I think the service should be a little better. Overall its nice and quiet.. I just feel they need more man power to take care of what needs to be done because the maintenance man is never there.. 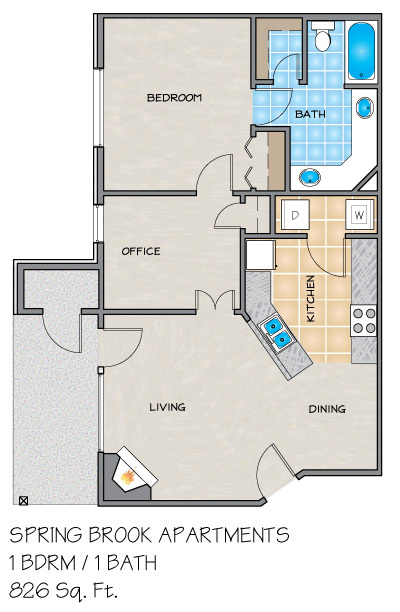 Moved in 2 weeks ago - quality of apartment is decent, but had trouble with AC the first day. Dealt with these issues for many days before a solution. Danielle has been very helpful in the front office and have enjoyed working with her!! 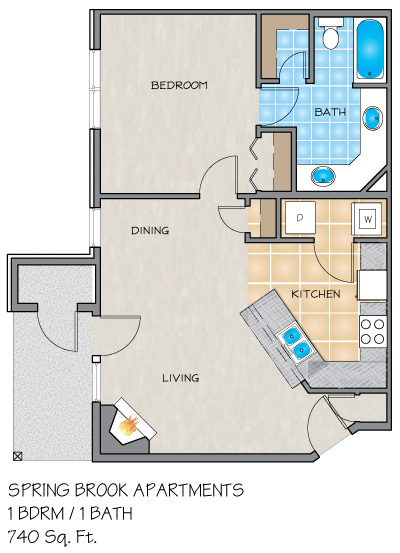 I would recommend this complex if you are looking for an affordable and great located residency. I love living at Springbrook! Everything I need is so convenient. I like living in this area because I can get to the store and I-12 without being in a lot of traffic. My apartment is nice and has a lot of storage. The staff is always pleasant and helpful. I recommend these apartments.